I opened my Etsy shop on July 3, 2005. At that time setting up an independent ecommerce shop was an onerous task that required technical skills I didn’t have. Etsy was like a miracle. A week later I made my first sale. 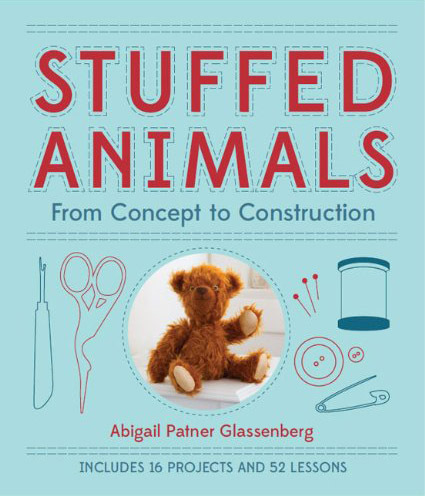 I’d been sewing plush toys for months and was desperate for a way to sell them online. Now I was finally in business. I loved Etsy. A lot about the online landscape has changed in the ten years that have passed since then. Etsy is still here, but whether it’s really a miracle is doubtful to a lot of makers. In fact, it’s fair to say that complaining about Etsy has become almost ubiquitous in the craft community. Walk into a room of Etsy sellers and bring up the recent site redesign, or the 2012 decision to allow manufacturing partners, and you’ll be showered in a cacophony of grievances. I get it. Etsy is far from perfect. The company faces some enormous challenges and has definitely stumbled over the years in dealing with them. When I look at all of those challenges, though, for me the biggest one is this deep-seated feeling of discontent among its customer base – the sellers. Stepping out from the crowd of vocally frustrated Etsy sellers, I’d like to explain why I don’t agree that Etsy is the enemy. After a decade as a seller, I still love Etsy. 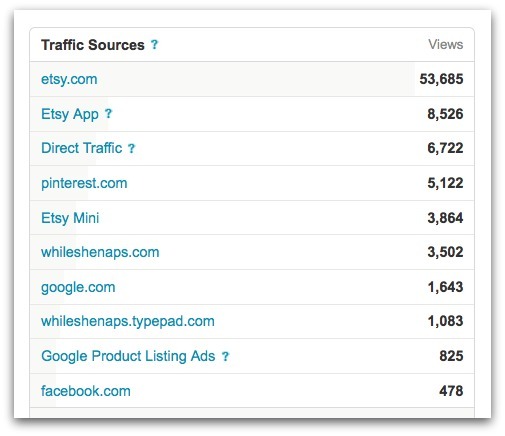 What the people at Etsy realized earlier than most of the rest of us is that the key to selling online is traffic. And the ticket to building traffic is building familiarity among average consumers. Etsy worked tirelessly for a decade to become a recognized household name and I would say that they have achieved that goal now. Like eBay and Google and Facebook, almost everyone has heard of Etsy and has a general sense of what it’s all about. The value of being well-known cannot be understated. It is Etsy’s most valuable asset, and by selling on Etsy, you get a piece of it. My younger sister, Rachel, is a lawyer. She’s creative and artistic, but she works full-time and has a 1-year-old baby so she’s also really busy. In October of this year Rachel began thinking about a Halloween costume for her daughter. She didn’t want to just buy something at Target. She wanted a handmade costume, but she didn’t want to make it herself. She sat down at her computer, logged onto Etsy, and typed “toddler Halloween costume” into the search bar. After scrolling through the thousands of images that came up, she clicked on a few top contenders, read the reviews, and chose one. This entire transaction would really rile many Etsy sellers, and for good reason. I see all the problems that Rachel’s experience reveals from a seller’s perspective. I am also aware of several more problems that this particular transaction didn’t touch on. Etsy search is flawed and skews toward particular types of products. The one hand-curated part of the site, the homepage, has now been replaced with an individualized homepage based on a user’s past activity. Etsy changes the site layout at will, confusing potential customers and at times seeming to hide information that buyers need, including categories and shipping prices. Etsy severely moderates its forums, deleting comments and shutting down conversations at will. These are some of the biggest gripes that sellers have with the site, but the list goes on. It’s really easy to complain about Etsy. I get it. I see these issues and they are real and important. I am not dismissing them. But I also see something else that’s incredibly significant and way too easy to take for granted – my sister bought something handmade online from someone she didn’t know and it wasn’t a big decision for her. She knew immediately where to look: Etsy. And she’ll do it again.That’s not to say she won’t shop online for handmade items elsewhere, too, but when she isn’t sure where to look, she will always turn to Etsy. Etsy made the connection between my sister and a maker, as it does hundreds of thousands of times every day for other buyers and sellers. From a seller’s perspective, the biggest change in selling online from Etsy’s inception in 2005 to now is the amount of good choices makers have for setting up shop. Now there are dozens of free and low-cost options that are just as easy and quick as Etsy. There’s no need to choose Etsy. It’s existence isn’t the miracle that it once was. Many makers choose not to use Etsy for a whole host of reasons, and it’s awesome that they can make that choice now. Yet over a million makers have stayed on Etsy, even if staying provokes them to persistently complain. Why stay? Lasts spring I set up my online shop here on my blog using WooCommerce, a WordPress plugin. Since setting it up every bit of promotion that I do for the items I sell links back to my own shop, including blog posts, newsletter links, Instagram photos, Facebook posts, and tweets. I have a following on each of those platforms in the thousands and combined they are an effective marketing strategy. The only thing I actively do to drive traffic to my Etsy shop is that sidebar widget you see over there and this is the first time I’ve mentioned it all year. My third quarter sales numbers tell a very revealing story. I earned $4,046.70 from my own shop and $3,370 from my Etsy shop. I did the work to bring in every single customer who bought from my WooCommerce shop and it did well, but my Etsy shop did nearly as well. Who did the work to bring those customers to my Etsy shop? Etsy did. That is incredibly valuable to my business. Besides all of the commonly sited frustrations with Etsy, there’s one more I’d like to add. Etsy is a very expensive way to sell online. I paid $185 in listing and transaction fees to Etsy in the third quarter. Running my own shop has no fees associated with it since I’m already paying for hosting for this blog. Why pay for Etsy? Because they brought 60,000 eyes to my products. My Etsy traffic source to date this year. I see my Etsy fees as a smart form of advertising. I can’t think of anywhere else that I could place an ad for $185 and earn $3,370 in sales from it. Being on Etsy is like advertising. Etsy is an incredibly effective way for me to bring in new customers who have the potential of becoming repeat customers and loyal followers. But it only happens if I take over responsibility for them once they’ve made a purchase. So I send each Etsy customer an email with a coupon code, a thank you, and an invitation to sign up for my newsletter. Then they got a newsletter from me every Wednesday with useful and interesting information. Through my newsletter they got to know me better. Over time, that familiarity means they’re likely to make their next purchase from me from my independent shop. None of this is to say, “Stop complaining about Etsy!” I actually think the opposite is true. 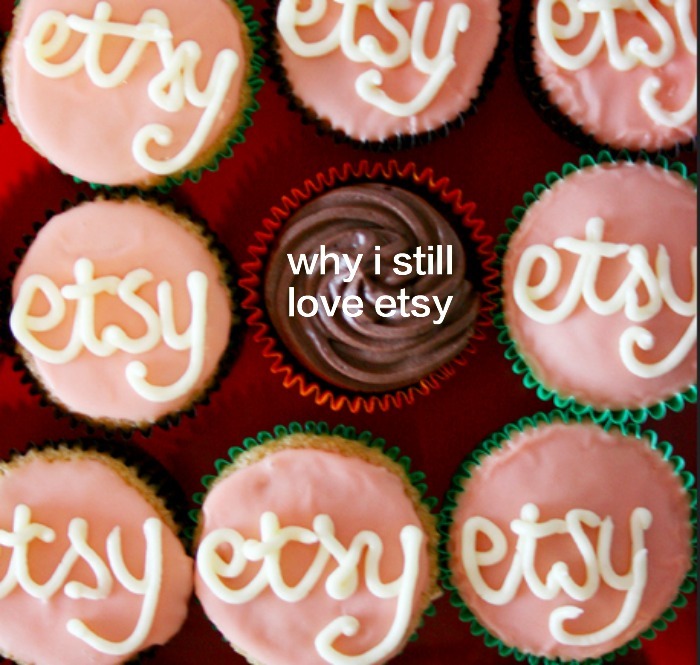 Raise your voice and let Etsy know what you dissatisfied with. Keep on them because the high level of dissatisfaction among their customer base, the sellers, should be of serious concern for them at this point. But also keep in mind that Etsy is a business, not a democracy. They are under no obligation to listen to your voice and you definitely do not have a vote when it comes to the decisions that they make. You do, however, have complete control over your own business decisions. Use Etsy as a tool, but channel your real energy into what you’re building yourself. I’m glad to know that you send an e-mail to your Etsy customers with coupons and newsletter info. I had a post in the forum taken down last year (still not sure why…) with a strict scolding e-mail. After that, I was so afraid of breaking the rules that I haven’t posted anything in forum or sent any extra information to the customers. The Etsy convo guidelines say that any promotions or advertisements are considered spam. So do you send an e-mail based on the paypal e-mail address? Yes, I do and I have for years. I only send one email and I send it right after the purchase was made. It says thank you, offers a 10% off coupon code for their next purchase, and invites them to subscribe to my newsletter. I don’t autosubscribe them to anything. I just send one email. But it’s very effective. Is that something you do manually for each customer Abby or is it automated? P.s. I still love Etsy too and I’m glad you posted this! Sometimes people make me feel like a fool for staying with it! I do it manually. It only takes a few minutes at the end of the day. Great post! I agree Etsy (like anything) has opportunities for improvement, but where else can you set up a storefront that can be seen by so many people? I have been selling on Etsy for just over a year with a moderate amount of success. I am in the beginning stages of my business, with limited time and money, and if I had set up shop on my own website or on another platform, I guarantee I would not have the number of sales I do. The point of people talking about buying things “on Etsy” rather than “from this particular shop” is not bothersome to me. I’ve gotten used to people talking about things they saw “on Pinterest” as if Pinterest made the craft or the recipe themselves. I think this is just the way people talk about things they see online. They generalize. If they really want to refer your shop, your link, your blog to their friends, they will. Thanks for a really interesting post. As someone who does not (yet) sell on Etsy, it’s interesting to see a discussion of some of the pros and cons of setting up shop there. However, I think you hit the nail on the head in terms of the value of Etsy to independent makers. As a frequent purchaser of items on Etsy, I have been able to find beautiful handmade goods from artists around the globe that I would not have been able to otherwise. As well, Etsy as a brand has exponentially increased awareness of quality handmade goods in our culture in general, which I think is a great thing. However, as frequent Etsy consumer, I am also frustrated by how difficult it is becoming to determine quality on Etsy. It can take a very long time and a fair number of searches to find something that isn’t cheap or poorly made. I wonder if it’s even possible to create a better search tool or create some indication of quality? I don’t really find Etsy reviews don’t really help in this regard. The curated emails and Etsy blog is somewhat helpful, but not if you are looking for a specific item. One strategy that I’ve found most useful is to see if the seller has a blog; you can learn a lot more about the products they are selling and what goes into making them. 1) Voices CAN be heard and enact change – you’ve been able to do this yourself! Think Aurifil! They really changed their tune once you spoke up – and they didn’t have to. Ety’s audience is larger, therefor it may take louder voices, fairly constant complaining, and a larger group bailing ship to make these changes to make sellers happy. Or they won’t. they can choose not to and lose sellers, that is their choice. Ebay had similar issues and it took forever for them to change and they lost a lot because of it. 2) Your shop, your business – you have an audience, a loyal following and a lot of crafty street cred. Your shop is working for you in large part to all of this hard work. People know who you are. 3)Of course you make this point already regarding traffic sent your way through the sheer word “Etsy”. But to be honest – lots of people have no idea how to use Etsy, because they aren’t crafters. They just want to buy something. I’m a mother to three as well and I can tell you honestly – I’ve had to explain Etsy to a hundred women and most likely none of them have shopped there due to the overwhelming, confusing nature of the site. they can also just Google what they want and get fewer confusing results. So Etsy has a place, but making people feel like whiners for complaining only polarizes the issue and makes for no change. It’s important to point out that the vast majority of my Etsy sales are from new customers. You’re correct that I have an established business and that certainly helps, but I know that customers are finding me simply by searching Etsy for what they are looking for. I really didn’t intend to make anyone feel like a whiner for complaining about Etsy’s policies. I agree with you that it’s important to speak up loudly and continually when you feel a company is not treating its customers fairly. Great topic! I heard some complaints about Etsy on a recent podcast so I was glad to see your article. It was like some of the conversations I have had with Jerry. We have a website, Etsy Shop, and eBay Shop. Each is designed to serve the needs of different customers. I love our Etsy Shop !! I design the listings to meet the needs of artists and crafters that are interested in sets and kits in variety of sizes, styles, and models. I love the way you and Jerry work together, Carolyn. You make such a great team! Great post! As a consumer, it drives me absolutely nuts what a blatant blind eye Etsy turns to obvious resellers, etc. It makes shopping on there exhausting. In some ways, I think it’s starting to work against them though – I”m in a local Moms group on Facebook and people are always posting asking for specific recommendations because searching on Etsy alone is overwhelming. But the traffic is undeniable, for a seller. I think it’s imperative for folks to have their own website and drive people there once they’ve connected on Etsy, as you do! Etsy. There are many things to say about etsy. I feel disrespected by them as a customer, as I am included in every test going so I never know what I am going to find there – I speak only as a consumer not a seller. At the moment I can no longer see what is in a sellers shop as it has gone over to a list format with all the space given over to text (minimal but takes up all the space where I used to see thumb nails of everything in the shop). To see what is in a shop I have to keep on keeping on scrolling down and further down. It’s irritating. Then there is the shipping that disappears and I am expected to put it in my basket before I know the price. I had to email a seller because the shipping information was no longer clear as it wasn’t showing up for me (it was frustrating for the seller as they didn’t know I couldn’t see it .) Many times I have skipped off the site in frustration and gone elsewhere. I find I am apparently unimportant to etsy. That is how I feel anyway. Finally though they got rid of the front page and replaced it with something better after many awful attempts. That took forever. I don’t like them interfering with my feed though and I took out all my favourite shops in an attempt to stop them, that upset me having to do that. Since I did that though I get better stuff. Before, I was getting horrible stuff recommended some of which was actually offensive, which was not like my favourites at all even though etsy said it was. The sellers are sometimes amazing and generally they give great service too, but things are changing. The personal touch that once I could guarantee is often missing now and is so disappointing when it is, I think they are taking the lead from how etsy treats them as sellers. That’s a big change. I read the discussion where I am told the packaging and the personal touch is not important. But it is! That is a big reason why I shop on etsy. I get upset when the shop banners are removed, and etsy want to stamp their branding all over the sellers instead. That does not work for me at all. I want to know who I am buying from. I am fed up that there is now so much stuff on etsy that is not handmade at all. I am not an expert and yes I have inadvertently bought mass produced. That upsets me, and it is dishonest which is not lawful. So while I still shop on etsy, and it is the first place I think of, I now have back ups and I now google as well, in the hope of finding independent stores. I also use folksy (a UK shop) and sometimes I make a point of looking there first. I actually do feel now that etsy doesn’t really want the handcrafters so much resellers as they can make far more money for them as they can sell much more. I see so much manufactured stuff and branded names that are trademarked or things that break copyright (like whole scanned books), yet I see genuine handcrafters hauled over the coals and forced to show their procedures in a very heavy handed way when their handmade-ness is obvious. I have seen crafters reduced to tears over the stress this causes and they are also forced to give up their ‘secrets’ that make their products unique. I suspect this is for statistics, so they can tell us that they check out the authenticity of their sellers, but they ignore the resellers which are repeatedly reported That tells me one thing, that they want resellers on the site as they are the big money makers. I think for new sellers in a niche market, etsy will bring traffic and they will be found but for new sellers in saturated areas shops just get buried. 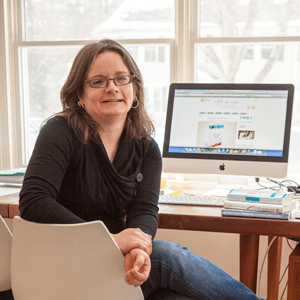 For established sellers what scares me is how they say that one minute everything was highly successful and then the next no sales and no answers as to why – etsy is very uncommunicative in a way that I find alarming. The search is tricksy (and how do you even begin to make it fair with so many sellers). As a buyer I know I am not shown all there is and that is frustrating for me too. So yes problems with etsy. I’m not ready to leave them quite yet as a buyer but neither am I ready to join them as a seller. I really don’t like how they seem to do business – it’s rude, it’s brash, it slams the breaks on and it seems not to care. Some good points well made as ever. I love Etsy for the fact it has brought my items to the eye of international buyers – most of my sales go the the USA, something which I would not have been able to achieve by myself. I don’t have the time due to family circumstances to do the ‘legwork’ involved in promoting myself as much as I should, and Etsy fills a gap here. I tend not to rely on it as a sole source of income but as a tool to be used in conjunction with my blog and website. It has brought me sales but also brought me additional commissioned work over the years which has been lucrative. I can understand that to make it work as your main source of sales would be tricky and getting harder as Etsy becomes bigger, plus the fees do mount up – I found the new ‘promoted listings’ feature to be an expensive waste of time. I guess you have to tailor it to suit your needs, and as with everything, there are good and bad sides. I do hate the way they keep tinkering with layouts and my homepage though – I had weeks when my shop front was absolutely awful, no banner and items very badly displayed and there was nothing I could do about it other than constantly leave complaints in the feedback. And I have noticed that sales have fallen but I am not sure if that is down to Etsy or my own fault as I have not been re-stocking as frequently as before due to other commissioned work. I like the idea of passing on info in an email via Paypal address after a sale – I might pinch that one in order to pass on my website & blog details – thanks for that! Well said Abby! While its great that artists have other marketplace options now, Etsy is still my first choice to look up handmade items that I want to purchase. It does take longer to sort through the listings for quality now that they’ve made changes to the search categories and there are thousands of sellers. But IEtsy is still my go-to place to see quirky, handmade, OOAK, vintage products. I was working on a round-up to post on the blog next week and I wanted to link to beautiful handmade items in a specific category. I used two sites to help me research the items – Pinterest and Etsy – and I used them in the same way. 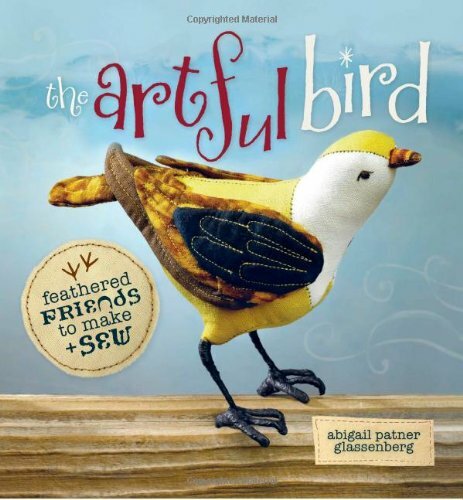 I found beautiful images and then did deeper research to learn more about the makers and how the items are made. Only then did I decide whether to include the item in my roundup. But both sites are invaluable for finding them in the first place. Thanks for a great synthesis. It is a complex question. I hate hate hate Etsy’s search engine and the way price seems to reign supreme. LOW price. So I chose to sell on ScoutMob, which seemed more manageable. At least there are fewer choices and great photography! At the same time, I feel like I’m losing out on some traffic. And the community support. After reading your post, I am reconsidering an Etsy shop — maybe just a subcategory like kids vintage or books. But again, that awful search!! I still love Etsy too. You bring up some great points about what Etsy is lacking but overall I am happy with my experience. It has allowed me to quit my fulltime day job and now a year and a half later my husband quit his job and is joining me fulltime on Etsy. I think it has allowed crafters like myself an opportunity to have a full time business that otherwise would not have been possible. My goal for next year is to create my own website to sell from too. Thank you for the info. I’ve shopped on etsy for years (including from your shop and thanks for the coupon and newsletter info! ), and have had a positive experience overall. However, I started a shop about 5 years ago and that was miserable. I would search for my items using the exact term I listed it under, and it wouldn’t even come up in the first 25 results. I posted a lovey that was taken down from my shop and then followed up with a threatening email from the etsy legal team because it was too close to a taggie (although I never used that term or any like it), even though there are entire shops devoted to taggie-like pieces. Every tip they sent out for etsy success involved more money, like paying for their advertising and paying someone to take professional photos. Even though I was selling pieces, I stopped listing anything pretty quickly because it just wasn’t worth it. I now have a thriving craft fair business, and every time someone gushes “you should totally have an etsy shop!”, I just smile. I agree, Etsy is just SO well known! I have friends and family that do say they have bought from a particular shop on etsy (vs saying “on etsy”). And when I go to shop, I look in my favorited shops first. I don’t like the policy (or maybe it’s the lack of a policy?) around Native American produced items, especially given the Indian Arts and Crafts Act. I don’t sell but I’ve been told that others will sell something “native american made” and not get into trouble (ie shop shut down, etc.) if it really isn’t native made. One of the benefits of being on Etsy that rarely gets mentioned is the ability to be found by gallery owners, magazine editors, etc. One main attraction for those folks is the ability to search a wide range of artists all at one go. If you’re on a deadline, would you rather search a couple of large sites or hundreds of separate sites? Sales are terrific, but being on Etsy is not all about sales! That’s so true. 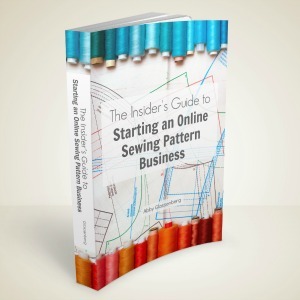 I think it was easier to get found by galleries and editors a few years ago when Etsy was less crowded, but I just reviewed a book the other day and the authors got the book deal by being discovered on Etsy so it is definitely still happening. As you said, Etsy is a central digest and that’s must easier to sift through than the entire web. I just opened my first Etsy shop, after building a shop on my own website to sell signed copies of my book. I didn’t love how my own shop ended up looking, though (it highlighted for me that my site design could use a refresh, but it also hammered home that I didn’t design the site with selling in mind, and it shows). So in addition to the shop I built, I set up shop on Etsy. It was *so* easy, and so fast to do. Even after a decade working in the crafts industry, I was surprised and delighted by how easy and straightforward it is to sell on Etsy. I ended up launching both shops, and I plan to see how each performs. So far, my Etsy shop is dramatically outperforming my own shop. And it doesn’t surprise me at all. I’m sure most of my customers so far (not to imply there are many of them) are people clicking through directly from me – it’s not like new-to-me people are searching on Etsy for signed books – so it’s quite telling that they’re choosing to buy through Etsy rather than through my shop. They just as easily could have chosen the other – when I launched, I linked to both. I won’t take down my own shop just yet – I certainly see advantages to having one. But I’m going to promote my Etsy shop more, because it’s where people seem more inclined to buy. Thanks for this post, Abby. It gave me a lot to think about, in all the best of ways! That’s so good to hear, Kim. I do love Etsy for exactly the reasons you state. It is incredibly easy to upload things and get your shop up and running. I have two Etsy shops, catering to separate types of buyers (books and crafts). I’ve had these shops approximately 5 years. What frustrates me most about Etsy…aside from the other stuff mentioned here regarding how they mess with our shops without asking, etc…is that their “helpful” blog posts and information makes it sound like EVERY Etsy seller SHOULD be making money hand over fist and be able to quit their day jobs. Absurd. I’d love to see the statistics on just exactly how many Etsy sellers have been able to do THAT over the years! I’m willing to bet the percentage is extremely small. Yet practically everything I read on Etsy makes sellers who do just okay or aren’t getting the sales they hoped for feel like losers. And if that’s the case then those sellers aren’t “doing it right” according to Etsy’s standards, even if we are doing everything they recommend. Yes, Etsy increased for the average online shopper the awareness of crafting as something valuable…and that’s great. But I agree that they have fallen into the money trap: Allowing resellers and ignoring their GENUINELY crafting sellers has made them greedy. As an online seller who’s been doing this for over 10 years, I’ve witnessed this happening to Alibris.com, ABEBooks.com, and Ebay. They all pretty much started out as supportive of their sellers and then, either rapidly in the case of Alibris, or eventually in the case of ABEBooks, made it clear that the ONLY people they cared about was the buyers, completely forgetting that, without their sellers, there wouldn’t BE any buyers! Now it’s happening to Etsy and that is so sad. Sure, there are other “Etsy-ish” websites out there now but they don’t have the traffic Etsy does. 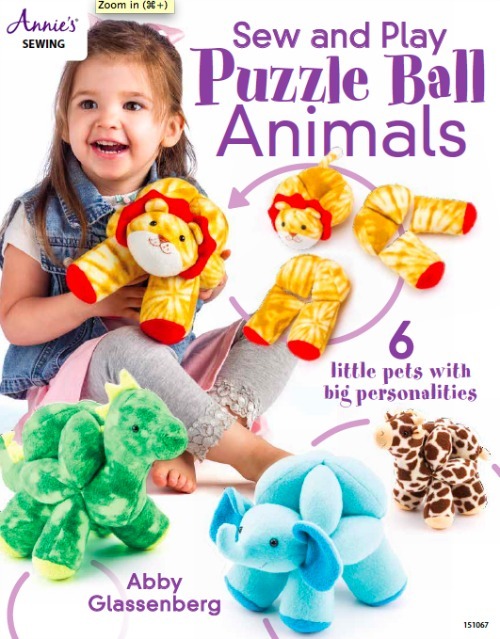 I tried Zibbet for about a year and had less than ten sales, which was ridiculous. Now I hesitate to even bother exploring any other crafty-ish type websites. One of my biggest roadblocks is that I don’t have a blog and I’m not on Facebook (as a seller) nor Twitter. I’m older than many of the folks that use those sites (57) and just have never gotten into them nor even am truly interested in them. I already devote much of my time to my shops and my bookshop on Amazon, to have to devote even more time to FB, et al, is not an attractive thought. So, yeah…Etsy works for me enough to make the time I spend on it more or less worthwhile. I think I’m one of the lucky ones for having the traffic to my shops and the sales that I do. It would, of course, be nice if all that increased but I can’t honestly say that if I set up a FB page it would be worth it. I’ve given out bonus coupons over the years and, in all that time, only O-N-C-E someone actually used one. My personal experience has been that customers are so very focussed on what they want to buy…its price and when they’ll receive it…that they SELDOM bother reading my shop policies or the thank you note/coupon code I provide in my Etsy shipping notice or enclose with the package. So…while Etsy would like us to THINK it’s all a warm and fuzzy environment there, where every buyer values the sellers and their creations, the reality is that many…I’ll go as far as saying most…of the buyers just want to find cute stuff at the cheapest possible price. And forget about buyers showing THEIR gratitude…less than a third of my buyers have ever even bothered to leave their feedback and I see that time and time again for other sellers as well. They might as well be shopping in Walmart or on Ebay; we’re STILL a faceless sorce of consumer goods. And THAT’S what’s so frustrating for me as an Etsy seller. Thank you for this post. It says everything I’ve been thinking and more, and says it better than I had been able to formulate it to myself, much less in a post form. I agree with you on all points, and your view of Etsy as a marketing tool as well as an online shop is very well stated. Looking at it this way, it becomes even more of a tool in our bag of tricks than it’s been. Thank you again for great ideas. Great post. Thanks. This August will be 4 years selling on Etsy for me. What a ride! I’ve got all the same concerns and frustrations — seems like every time I start to see regular sales, Etsy changes something else, sales dry up and I have to reinvent my particular wheel. One of my biggest complaints? Etsy Marketing. The narrow focus (can you say Chevon?) of their marketing plan is disappointing. The promotion of Art & Photography consists exclusively of Graphic Art. I do see a steady upward crawl of my stats, but I think it’s time to add my own website. I give you a lot of credit for stating things like they really are. You clearly know your stuff, and check your facts. Nice job and thank you for sharing this sharp info. I’m re-Starting on Etsy after 3 years away, and the changes are shocking to me. I have a relative who works at Etsy as well, so I have heard things from the other side of the fence too. Growing a company at a this rate can’t be easy on anyone. I kind of which they had stayed smaller,but alas. My gripes are none of those, my biggest gripe is not how they change my money. I get paid in USD … they convert to AUD as soon as i get it… they then convert to USD to pay fees etc…. they already cgarge fees. Why bite me continually with exchange rates? Im trying to have online USD money source, because the things i buy in to create… are sold in USD!!! And i loose tonnes of mobey with these coversions. While Etsy and banks make more.